Not long ago, German wine, with its flowery label and medieval font, was viewed as old-fashioned. Its name, based on sweetness level at harvest – Kabinett, Spätlese and Auslese further added to the confusion. The result? 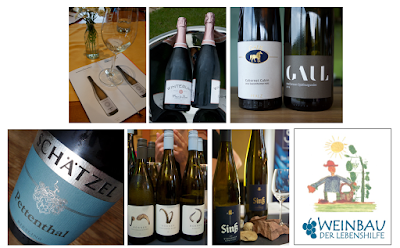 Consumers shunned German wine save the well-established brands and flocked to the more modern and drier New World wine. 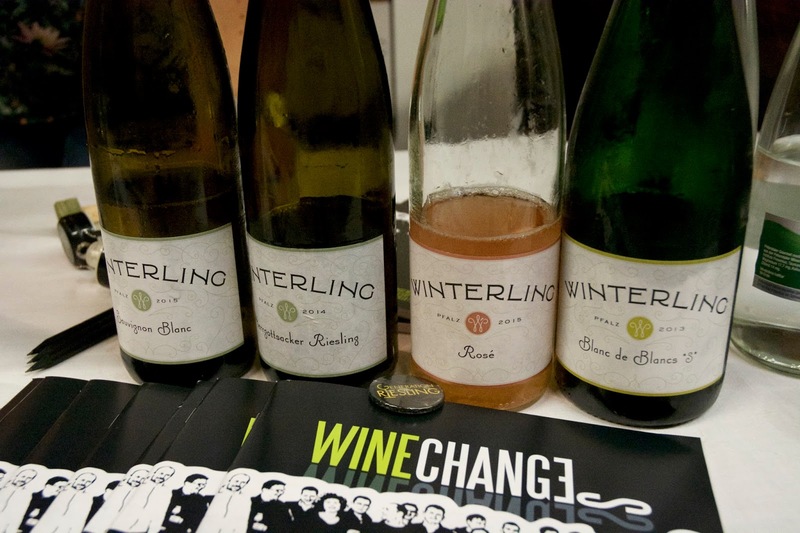 To revive the image of German wine, German Wine Institute (Deutsches Weininstitut DWI) initiated Generation Riesling in 2006, and how much things have changed since then! 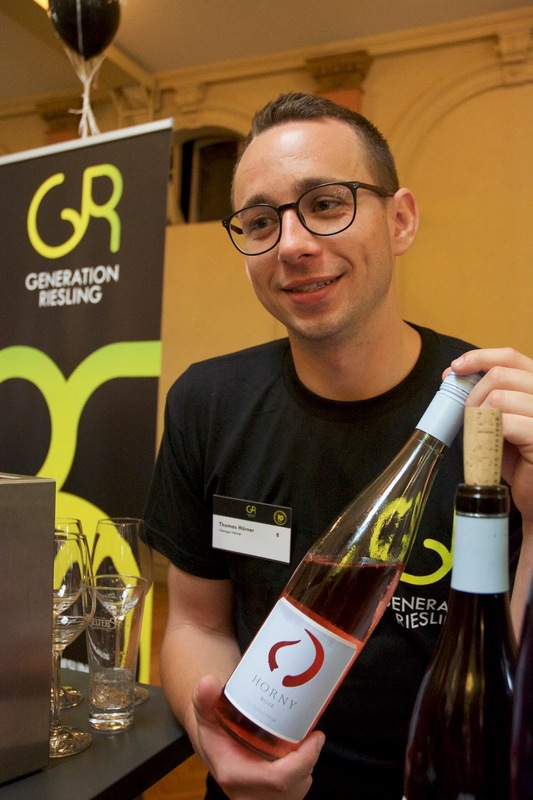 Generation Riesling is a platform for Germany’s young winemakers under 35 years old, who are committed to contribute and change the image of German wine, to showcase their products to both domestic and international markets. The first presentation was on 8th June 2006 with 25 young winemakers in London. To date, it has 530 members from all 13 German quality wine regions. Members at their 36th birthday will be given birthday cards and retire from the group. 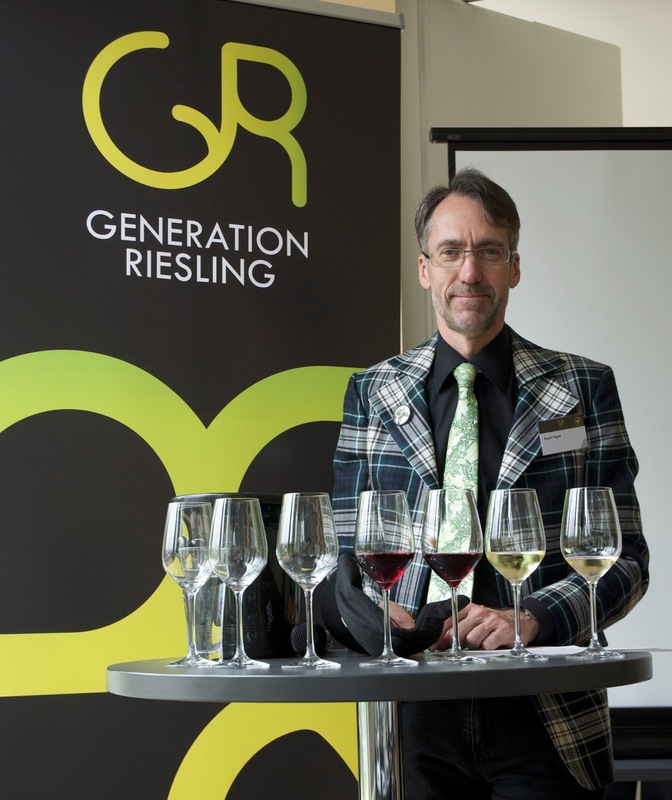 Generation Riesling is dynamic, cosmopolitan and innovative. Over 60% of its members have made wine overseas from Austria and France to New Zealand, South Africa and the USA, and 30% of the members are female. Their wines are mainly dry style with simple and modern labels, a far cry from the traditional German wine. ka older than 35 years old). For us, the tasting ended promptly at 6:00pm and we had to make way for their after-work party, which featured wine bars, food stations and DJ until the small hours! 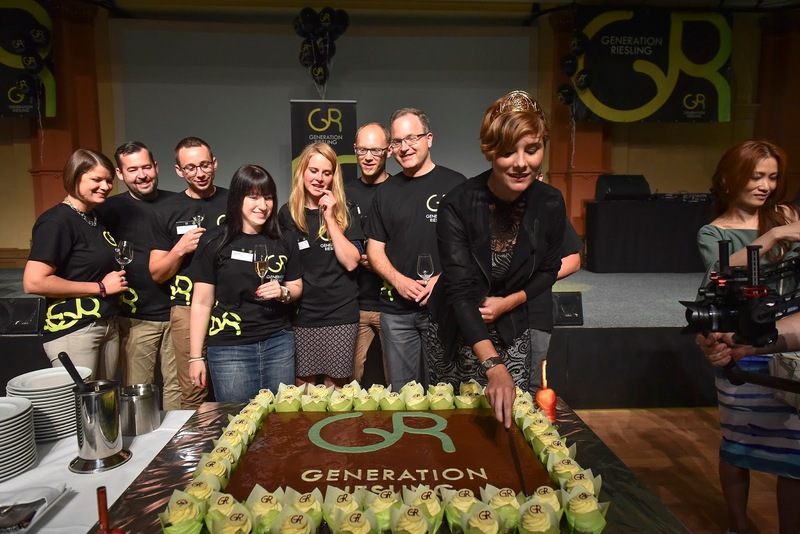 Generation Riesling is not only about Riesling. 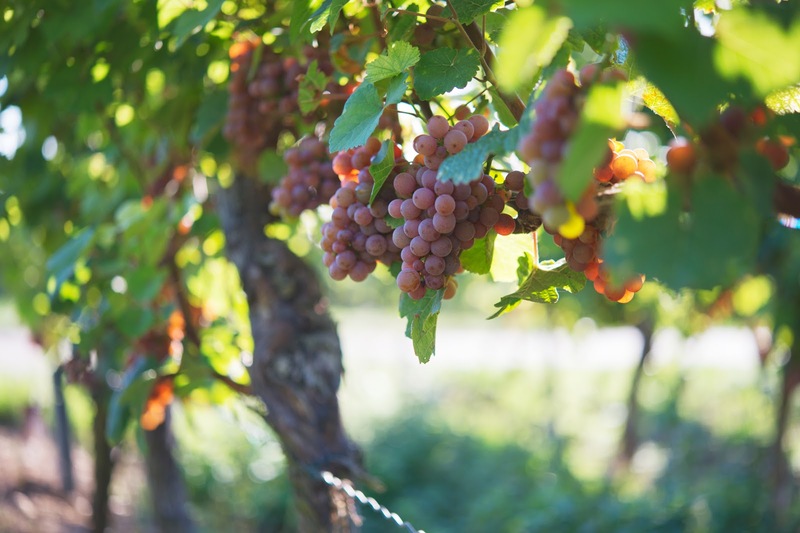 While 55% of wine is Riesling, around 24% is devoted to the Pinot family – Spätburgunder, Grauburgunder and Weissburgunder (Pinot Noir, Pinot Gris and Pinot Blanc). Not many people are aware, Germany is the Pinot Paradise – it ranks #3 in Point Noir planting after France and the USA, #2 in Pinot Gris planting after Italy and #1 in Pinot Blanc! They are followed by Silvaner, Lemberger (Blaufränkisch in Austria) and the fast demanding Sauvignon Blanc. What is also great about German wine, be it Riesling or Spätburgunder, is its versatility and paring with Asian cuisines. The high acidity balances well with the fattiness in food while the fruity aromas compliment the fragrance of Asian spices. The relative low alcohol is an added bonus that makes diners feel less tiring at the end of the evening. 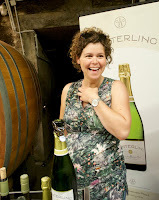 Susanne Winterling is the cheerful winemaker and also the German Wine Princess in 2007/2008. Her specialty is sparkling wine but her Sauvignon Blanc 2015 and Deidesheimer Herrgottsacker Riesling Spätlese Trocken 2015 are equally impressive. 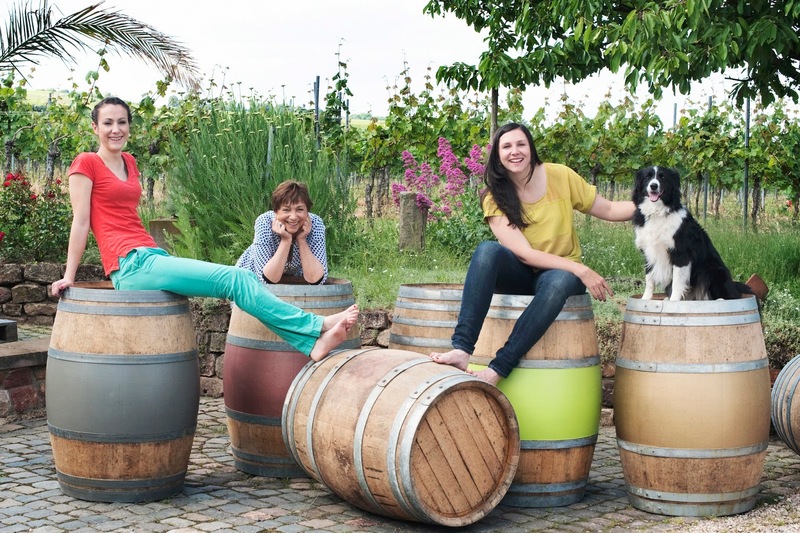 An all female winery with Dorothee being the winemaker, Karolin responsible for export, assisted by mother Gaul and the family she-dog. The father sadly passed away a few years ago but the ladies managed to modernise the winery with a new logo and a state-of-art building that housed the tasting room on ground floor and Dorothee’s home on first and second floors. The 2015 Sausenheimer Hütt Riesling Trocken Zugpferd, equivalent to Gold Capsule and not bottled yet when we tried, is intense with citrus and yellow stone fruits showing great ageing potential. The 2015 Sausenheimer Grauburgunder Trocken is a pleasant wine that will go well with Thai green curry. 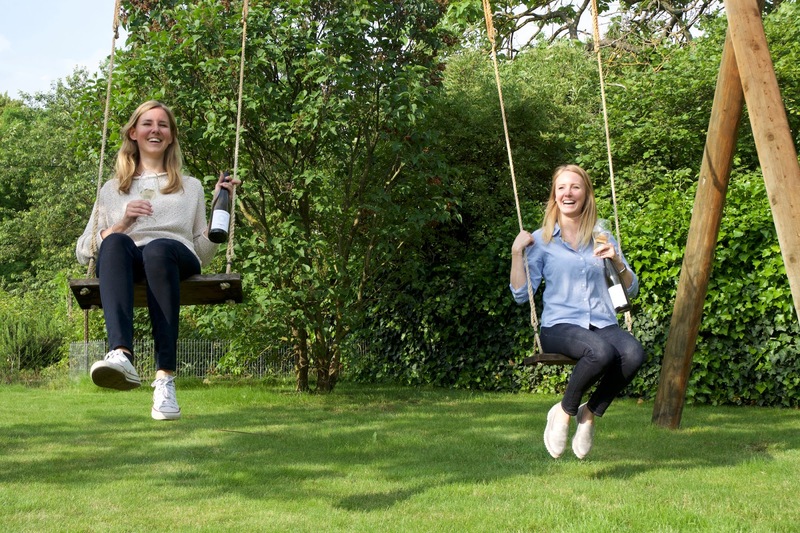 Another modern winery run by sister duo Juliane and Katharina Eller. Juliane is the winemaker and though only 26 years old, she is determined and has a clear vision of how she wants to make the wine. Her wine, like the logo, is clean, elegant and fresh with a good balance of acidity and minerality. Unfortunately, most of the wines were sold out but the even basic level, Gutsweine (estate wine), we tasted showed very well the talent of Juliane. 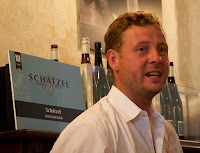 Kai Schätzel is a serious winemaker. He is one of the newest VDP members (Verband Deutscher Prädikatsweingüter, the oldest national association of fine winegrowing estates anywhere in the world) and the Winemaker of the year 2015. His winemaking philosophy is less alcohol, less exuberant fruit, more minerality and a more distinctive flavour profile. Even his VDP Grosses Gewächs has only 11-11.5% alcohol; but its lack of power is more than compensated by the elegance and precision. 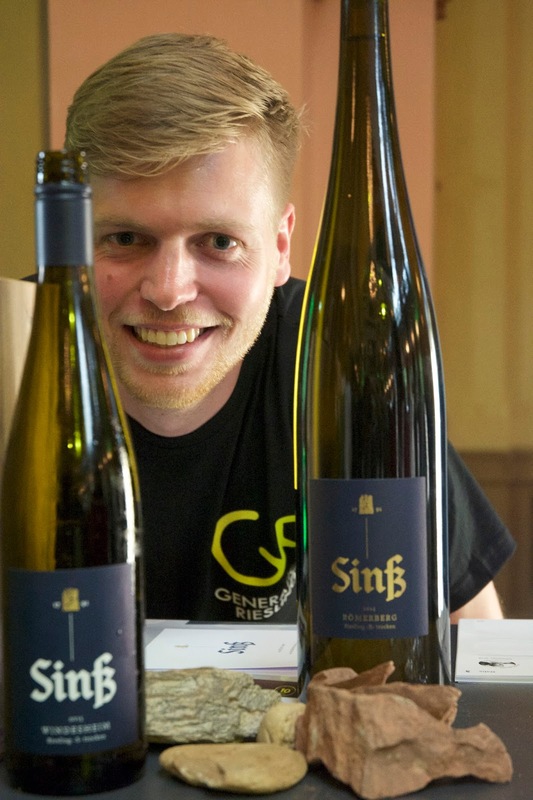 Kai is also one of the few young winemakers, together with Keller and Gunderloch, who go against the trend and promote the off-dry style Kabinett. He explained it was the calling from the vineyards. His 2014 Nierstein Riesling KabiNett – P Magnum, from the most legendary and steepest vineyard in the region, Pattenthal, is retailed at a whopping €99! Energetic winemaker Johannes Sinß is proud of his wine and keen to show us the terroir by presenting different colour of slates and stones from his vineyards alongside the wine. 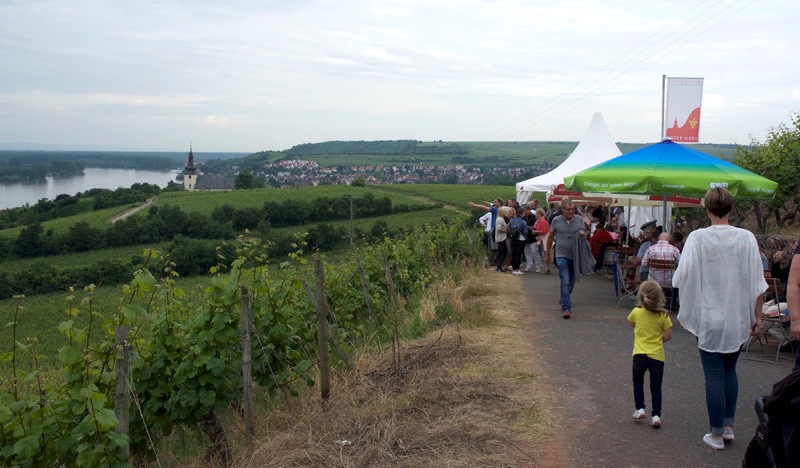 His 2015 Weissburgunder Windesheim S is a perfect example of what a Pinot Blanc can be. Playing with his name, Thomas Hörner designed three different labels of horns to differentiate the wine. His 2014 Grauburgunder Widder has ample fruits supported by lifted acidity. His rosé, an unusual blend of Pinot Noir, Merlot and Cabernet Sauvignon, is well balanced and delicious. It is definitely worth a try if you don't mind asking for it – it is called Horny Rosé. This is part of a bigger life coaching social project. All workers are disabled, either physical or mental, and winemaker Jan Hock, found suitable roles for all of them in the vineyard or winery. The vines are organically grown and wines are made in traditional method. Teamwork is the key and everyone is proud of being a part of the family. 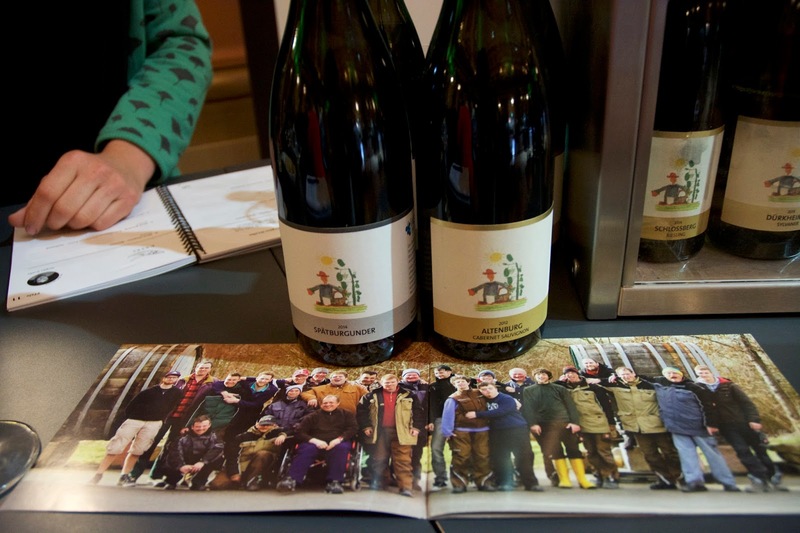 Their ortswein (village wine), 2015 Sylvaner Dürkheimer and 2015 Riesling Wachenheimer are good representatives of wines at this quality level. What’s more, we feel good drinking the wine because we know it is for a good cause. Generation Riesling is by no means the only young winemaker group but it is the biggest and most organised. 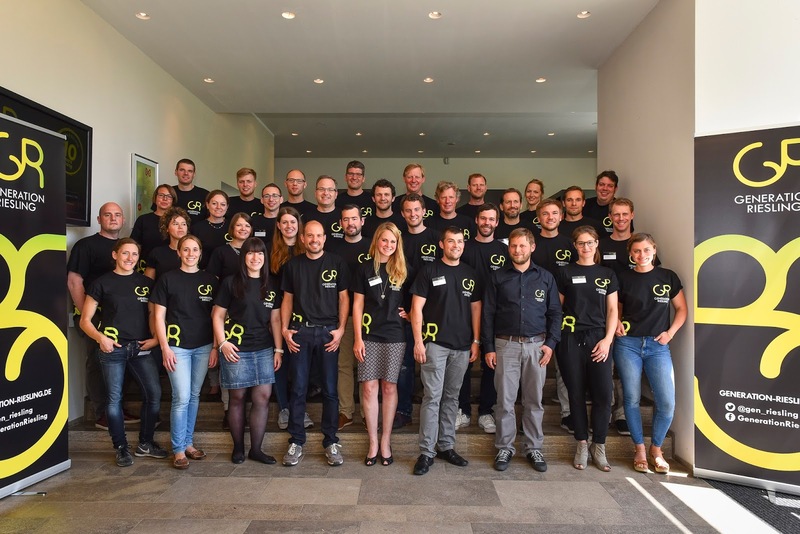 There is another one called Generation Pfalz where members are being nominated every year by a panel and an even smaller group called Wine Changes with only 12 young winemakers from villages near Neustadt Weinstrasse in Pfalz. Nevertheless all these groups are like-minded – they are passionate and creative. They are inspired to find new ideas and ways to breathe new life into their regions. Their wines are true to the land but without the stiffness. 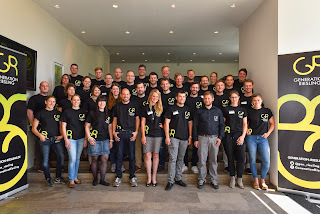 They are the ones who will make German wine fashionable again.